#1 Women in a Man’s World? “I was recently on one of those panels where crime writers discuss issues around the genre; It was called Women in a A Man’s World. Obviously I’m interested in the role of women in crime fiction. In Helen Tozer I hope I’ve written a character who is idiosyncratic and whose 60s proto-feminist insight is a crucial part of the books. She is the young, clumsy, brusque woman in her early 20s; someone who grew up with The Beatles and who rubs the older generation up the wrong way. Strong women are nothing new in crime fiction. From V I Warshawski to Jane Tennison onwards, we’ve had many brilliant, female characters overcoming the realities of the men’s world. Women don’t have to behave like stereotypes. In fact the real challenge is that the “feisty female” has herself become a cliché in the hands of many male writers. That’s the point my fellow panellist Ray Celestin made when discussing how he created the character Ida for his wonderful debut The Axeman’s Jazz; overcompensating for years of sultry but ineffectual noire femme fatales, you can end up with characters that make Lisbeth Salander look like a wallflower. But what of men? Are there as many interesting men in crime? Do we rely too much of the tropes of men being emotionally repressed, monosyllabic and lonely (often with the wreckage of a family life strewn behind them). Is that all men are now? Or is that meme starting to look increasingly ridiculous too? In my male lead, Cathal Breen I realised I was trying to write a man who’s brilliance comes not from his manliness, but from his lack of it. Years looking after a dying father have meant that he couldn’t go out with the lads, didn’t sink pints with them, didn’t share life in a Police Section House, and had lost the knack of being part of police canteen culture. 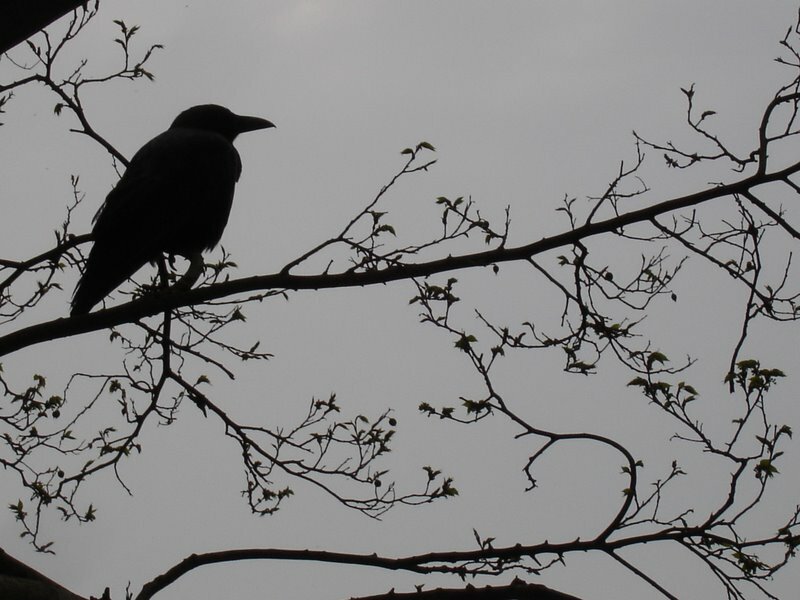 Emotionally raw after his father’s death, he has become over-sensitive and fearsome. He is no longer One of Them. This isn’t to everyone’s taste. One American Amazon reviewer called Breen “a simpering little wimp”. Bad reviews on Amazon, I tell myself, let you know much more about what you’re doing right than the good ones – but I’m lucky to get very few. The point is, having an unstereotypical point of view, male or female, allows your protagonist to see the world differently. Men are almost always much more than the 20th stereotype of them. I think that’s worth exploring. I don’t want to give too much away, but by the very violent end of the third book, A Book of Scars, a kind of healing has taken place. A domestic future beckons – something Breen has never had, and something that he’s really wishing for. I’m hoping that things work out for him. 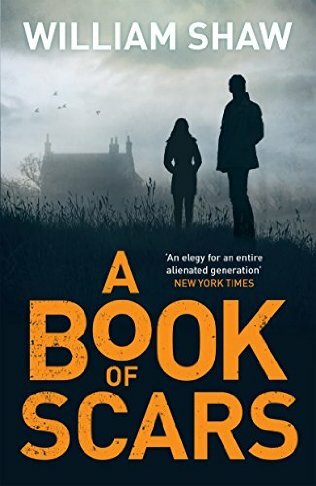 Following the violent denouement of the previous book, A Book of Scars sees our erstwhile hero detective Cathal Breen taking an enforced spell of R&R at the family farm in Devon of his feisty former police colleague Helen Tozer, who has recently left the Met. Inevitably though, the long shadow cast by the unsolved murder of Tozer’s sister, Alexandra, five years previously, comes back to haunt them in this much darker instalment of William Shaw’s superb 1960’s set series. As the book opens in the closing year of this influential and tumultuous decade, Breen and Tozer have many obstacles, both personal and professional, to overcome to solve this perplexing murder, which leads to others, and to lay the ghosts of the past to rest. Even if this is your first foray into Shaw’s series, you will soon catch up with the highs and lows of Breen and Tozer’s relationship, accrued through their previous cases, and their frustrating personal relationship. Endeavouring to avoid spoilers, I will simply say that events move on apace, and there is more than one surprise in store for the hapless Breen on the emotional front, as he becomes inveigled in Tozer’s personal strife with the murder of her sister, and the maelstrom of emotions that arise in the wake of this. The ups and downs of their relationship, with Breen being slightly more introverted, and Tozer a real speak-as-you-find kinda gal, makes for an entertaining, yet emotionally tense partnership, and the interplay between their very different investigative styles is as accomplished as in previous books. Breen is methodical, courteous and focussed, but Tozer rather less so, with her tough-as-nails demeanour accrued by living in the shadow of her lost sister, and her forthright decision to join the police, in an era where women were only just making their mark in the force, and barely tolerated in this bastion of masculinity. Hence, throughout the course of the book, there are some lovely incidents of Tozer going all heart of darkness, and Breen attempting to pick up the pieces. However, this is unerringly balanced by how Shaw writes both characters with a real sense of tenderness and poignancy when the need arises, and he doesn’t shy away from putting their individual frailties up for scrutiny. So, for my money, easily one of the most entertaining investigative duos in the world of crime fiction. As with the previous books, Shaw’s attention to the sights, sounds and socio-political detail of the period never falters. With perfectly placed references to products, fashion, drugs and music interspersed seemingly casually throughout, Shaw firmly roots us in the decade, and as Breen and Tozer dig deeper into Alexandra’s murder, Shaw also goes global, weaving in the uncompromising violence that was brought to the world’s attention through the Mau Mau Uprising in Kenya in the 60’s. Using the less than honourable exploits of some of Breen and Tozer’s suspects, during their residence in Kenya, Shaw reveals a well-researched, and eye-opening account of these events in Africa, whilst seamlessly incorporating them into the central plot of the novel. This dark diversion added another real layer of interest to the book, and an unflinching portrayal of this age of revolt, revolution and political corruption. Equally, Shaw leads us off the beaten path several times during the course of our intrepid duo’s investigation, to neatly conceal the perpetrator of Alexandra’s murder and the related deaths that occur as the plot progresses. As much as I enjoyed the first two books, I think this one resonated more strongly with me, purely because of the emotional intensity that Shaw has injected into A Book of Scars. Not only in the sphere of personal relationships and the reverberation of murder on a family, but also by the inclusion of the dramatic and violent events spawned by the Kenyan uprising. Reading this in a contemporary age, the book gains an added gravitas as we see the events of the past not just in a vacuum, and you read this with a horrible feeling of us not having learnt anything at all in terms of global conflict. However, this more serious side to the book is tempered by Shaw’s lively depiction of his central protagonists (who sometimes you just want to give a good shake) and beautifully placed moments of teasing humour, that lighten the darker corners of the book. A fitting end to a trilogy, or is it, as there’s more than a whiff of a cliffhanger on the closing page….. Good. More please.